Ideal for generating steam and heating gases and liquids in pressure vessels and tanks, flanged immersion heaters are hairpin-bent tubular elements welded or brazed into a flange and provided with electrical enclosures. 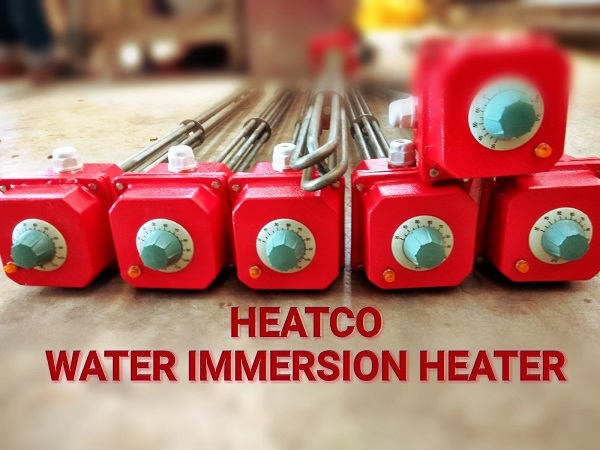 Heatco flanged immersion heaters are available in a wide selection of flange sizes and with a variety of electrical enclosures. U Length: Up to 120"
Sheath material: Cu, Steel, SS, or Incoloy. - Screw plug - fluids such as in rinse tanks, chemical baths and caustics Heating elements are also manufactured in a flat tubular configuration or a round tubular design.